Our first project from our Bring the Plants Inside Project has to be one of our very favorites. Start it out with a bang, am I right? We loved these rope coil pots from Anthropologie but knew we could not afford it. Our main goal of this project is to create ways to bring our plants inside on a tight budget-which means that $70 pots are just out of the question. 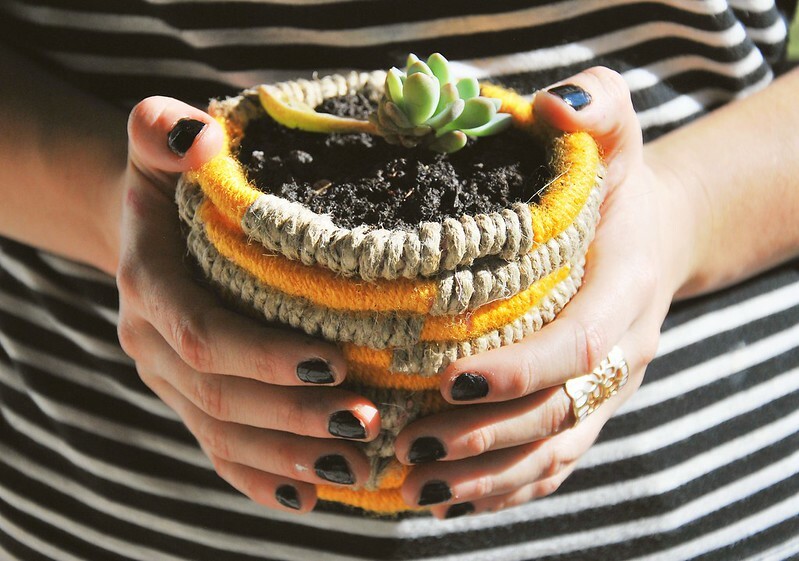 So here we go-how to make your very own Anthropologie inspired hemp and yarn coil pot for less than 10 dollars. These are adorable!! 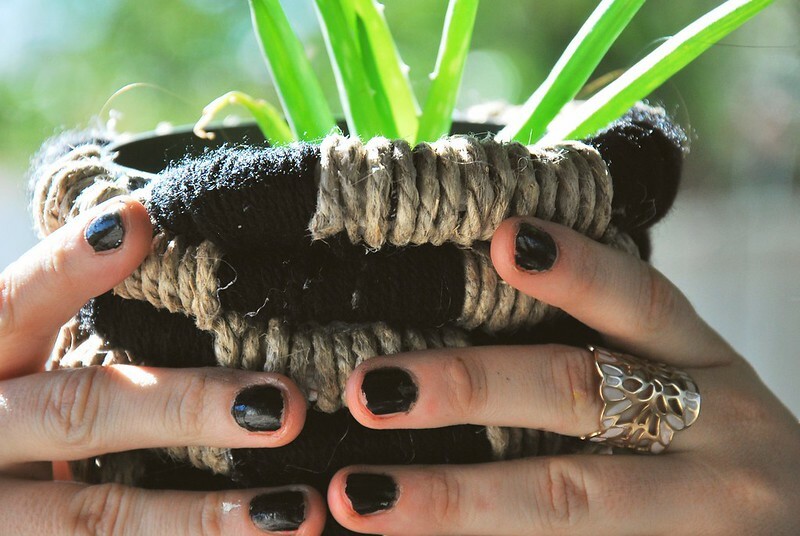 Buying pots can get so expensive so I love this solution to make your own and customize it to your style. Great idea!! WOW WOW WOW! This is so great! I love it! Plus the photos are so cute! Well done!